Mesopotamia - This site, from the British Museum, gives a very comprehensive look at early life in Mesopotamia. 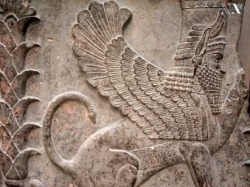 Internet Ancient History Sourcebook: Mesopotamia - a wealth of fantastic links! Art of the First Cities - from the Met museum; great art! Odyssey: Near East - a well-organized site with a wealth of information about the "Cradle of Civilization"
Ancient Mesopotamia - History Link 101's Ancient Mesopotamia page connects you to the best of Art, Biographies, Daily Life, Maps, Pictures, and Research on Ancient Mesopotamia.